According to reports, 22 units at Draycott Eight are set to be put up for bulk sale soon – expected to fetch around $143 to $150 million, which equates to a per square foot (psf) price of between $2,180 to $2,300 based on a strata area of 65,401 sq ft in total. Owned by fund which is managed by Alpha Investment Partners, 23 units at Draycott Eight were bought back in 2010 from another fund managed by Morgan Stanley for slightly more than $157 million – out of which 22 of them are 4-bedroom apartments and 1 penthouse in the same block. Alpha has sold 1 of the 4-bedroom units back during late 2012 for $7.18 million (or $2,480 psf), thus leaving them with the penthouse and the other 21 apartment units. Draycott Eight has a current lease balance of 80 years and comprises of a total 136 residential units spread across three 24-storey blocks. Early on in 2015, there were other 23 units sold by another fund managed by Morgan Stanley for $149.15 million (or $2,180 psf). The buyer is believed to be a holding company steered by the Chiu family, who is also behind the Far East Consortium International from Hong Kong. 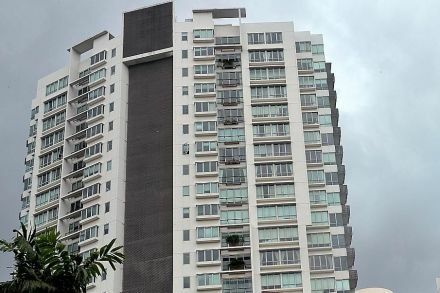 It was mentioned that both funds have acquired their respective units (23 each) at a similar psf price of $2,600 back in 2007 from a private equity firm, Forum Capital Partners – who purchased all 46 units directly from property developer Wing Tai (also the developers for the nearby Le Nouvel Ardmore) in year 2006 for a sum of $214.92 million (or $1,572 psf). Market watchers are expecting Alpha’s units to fetch a minimum of $2,180 psf – which was the price Chiu family paid for in 2015. However, they have a strong feel that the Alpha-managed fund will be looking to sell above the $2,300 psf mark. It was noted that the sale could take place via the sale of shares process as the Draycott Eight units are owned by a holding company. Otherwise, it could be transacted via the usual asset sale process though it will cause potential purchaser to incur up to 15% of additional buyer stamp duty (ABSD).